Snow, Ice, and winds can wreak havoc on your roof and your home or business. Roofing problems can be exacerbated in the winter. 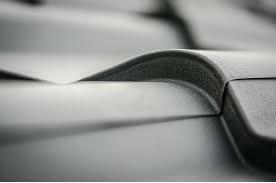 Roofs over 20 years over are more susceptible but anyone's roof can be a problem over the winter. Minor leaks can become major cave-ins that can cost you thousands of dollars. Now is the time to inspect and care for your roof. Climb up on your roof and look around the chimney, around skylight and edges. Look for loose materials or cracked shingles or cracks anywhere. You may need to sweep off pine needles or leaves and clean out your gutters. When you are on your roof, look for shingle granules, which look like sand. If you see these, you have serious wear on your roof. If you have any leaks, this is the time to get them fixed. A minor leak can turn to a major leak through the harsh winter months. It's also much easier to fix the leaks before the snow or bitter cold hits. Get into your attic and look for areas that are sagging. Inspect your ceilings for roof leaks, water damage, dark spots or any light showing from outside. Inspect for fungus, rot, damp areas or woodworm. A clogged gutter can be a serious winter problem. Ice dams can form which can cause damage to the interior of your home as well as roof damage. Ice dams can occur when outside temperatures are cold enough for water to freeze. The area close to the home melts from the warmth of the home while the outside layer continues to freeze. The melting water can't reach the gutter and begins to back up. The pressure causes the melting water to enter the home in every area it can find. This can cause extensive damage to the interior of your home. The first prevention is to clean those gutters. Get the pine needles and fall leaves out. Ice and water shields can be installed under the shingles. Heat tape can be installed in your gutters. When the snow comes, rake the snow off the edge of the roof. The best way to take care of your roof is to call a professional. Barton Roof will inspect for you and help you with your roofing needs.